Explore your yoga practice, attend an interesting lecture, enroll in a yoga training or immersion, or rest and restore at a yoga retreat. With dedicated time and attention in a specific area of practice, students can build a deeper awareness of biomechanics and alignment in the physical; find renewed strength and expansion in the soul; and bring it to their daily practice. Workshops and events are an opportunity to focus and have fun in all areas that interest you. Thrive invites experienced international guest teachers and highly trained instructors to lead our workshops and lectures. We mix popular curriculum with specialty areas of interest with a single purpose: expanding vitality. This training is dedicated to sharing the beauty and connection between mother and child. From the moment their spirits align and they become rooted in each other’s life journey. This program is an 85-hour training. It is open to yoga teachers, doulas, birth workers, health professionals or women who are pregnant and desire a deeper understanding of how yoga supports a woman during pregnancy. Participants should have a working knowledge of basic yoga principles and breath work as part of a mama’s journey into birth. Immerse yourself in the divine nectar of LOVE & SOURCE, the collective energy of mother & child through yoga. This training is great for you if you are looking to deepen your practice or become a confident and knowledgeable yoga teacher. Thrive 200-hour Training is a small group training (up to only 20 students) with one-on-one attention to the individual. The Thrive training curriculum is modern but rooted in the tradition of yoga. Thrive training programs were first introduced 8 years ago and have graduated nearly 300 unique teachers and inquisitive yoga students. Our faculty is several highly trained instructors from all over the country with broad experience in their fields. You will make connections and build friendships and mentors that last a lifetime. You will graduate prepared to teach yoga– whether your journey to that path is your choice! Bring Your Own Knitting! 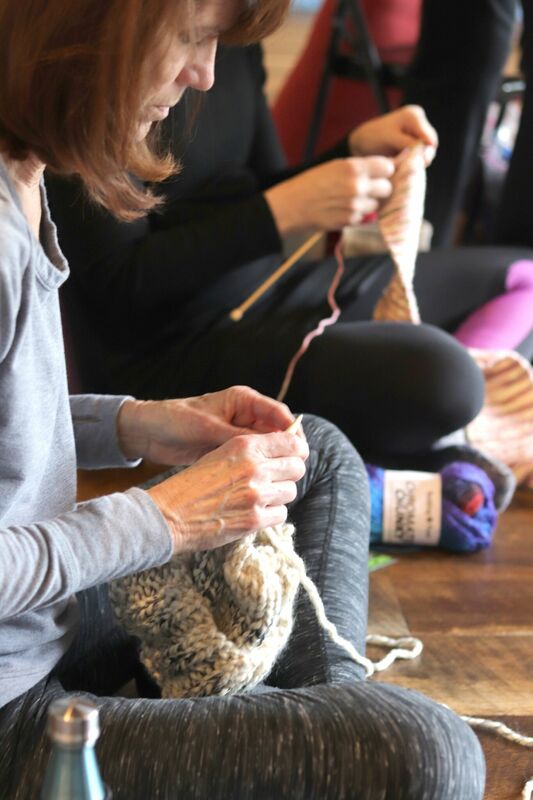 Connect with your creative self and join a community of knitters for this four-week progressive series. The series includes an optional consultation with Felicia prior to the start of session one to determine a project suited to your skill level and materials for you to purchase. Over four weeks, you will receive individualized support and instruction so you can successfully complete your work. Felicia has knitted hundreds of items—socks, purses, sweaters, kitchen towels, baby blankets, and more! With patience and guidance, she helps knitters of all levels find joy and relaxation in this moving meditation practice. All levels of knitters are welcome! Join our 30-day challenge for body, mind, and soul! Shed what has been bogging you down and set yourself free. Be inspired by following the day-by-day program with a community of like-minded yogis! It’s time to lighten the load of life off your shoulders and begin the best summer of your life! Ready? Unlimited Yoga (choose from more than 60 classes per week). If you are already a member, you will receive a member discount. Challenge Sets Daily* for physical and mental breakthroughs. Complete them at home or with Susan and Felicia at Thrive! Weekly group practice for community support and fun. Practices are Thursdays from 7:30-9: 00 pm with Susan and Felicia. Closing Party, May 23**Group practices are led by Susan and Felicia on Thursday nights and are strongly encouraged to keep up the momentum and to share experiences. Susan Mondi Bowen, mentor for the 30-Day founded Thrive Yoga and has lived a healthy lifestyle for more than 30 years. 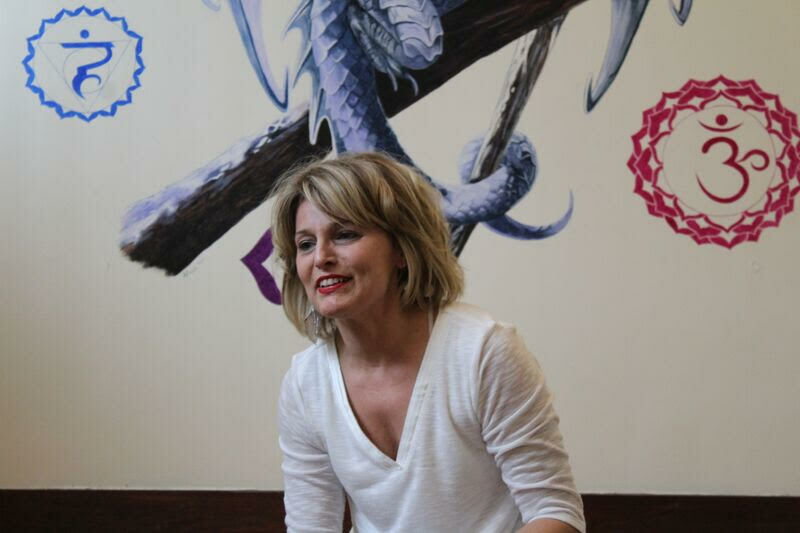 Susan creates programs and training curriculum that integrate yoga with complementary techniques from science, philosophy, and spirituality. Susan’s experience in teaching integrated methods for human change and transformation spans more than 16 years and 10,000 hours. Felicia Piacente, a yoga teacher for nearly 10 years, has taught more than 1,950 classes–all at Thrive Yoga. Felicia lives a yoga lifestyle with positivity, gratitude, patience, and acceptance. A teacher trainer for Thrive and a lifelong educator, she understands how students learn and are able to help them set manageable and achievable goals. At the core of her being, Felicia believes in living a light-hearted and fun life–one filled with love and joy! Learn how to discover a symbol that represents the Self and how to follow it in revelation of your Higher Self & Truth. If you already have an image that strongly represents You, you’ll learn how to amplify it! And journaling exercises to give this image a voice, begin a narrative, and create a tactile landscape for viewing your inner world. Ultimately, this type of inner work sheds light on dormant or unused potential so that you can live more conscious of your habits, talents, and place in the universe. Stress is a relatively new condition to humanity but it is one of the leading causes of disease. Yoga brilliantly reduces stress, balances the body and gives us a respite from the never-ending pressure of today. A yoga practice targeted at reducing stress will change your life. practice sets that target your most common stress experiences. are new to yoga! This is a great intro to yoga for a beginner. The advanced student will be equally as interested in specifically targeting yoga practices to reduce stress. 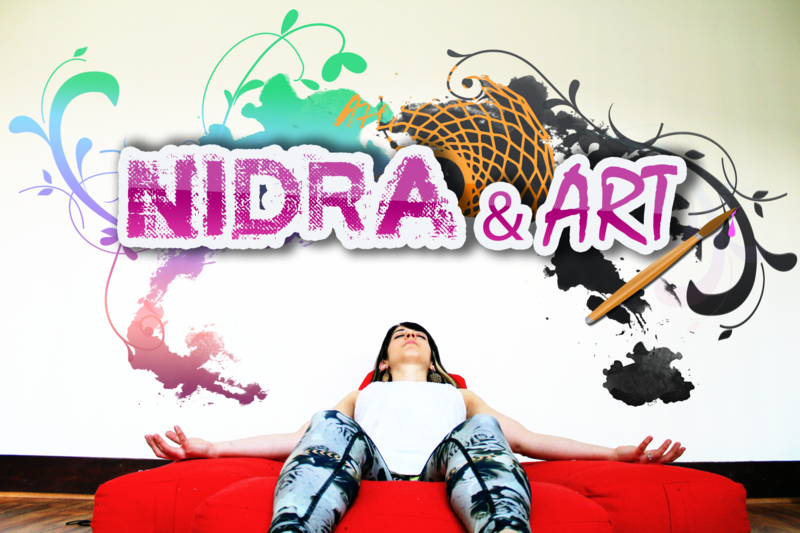 Expect asana, pranayama (breathing and energetic balance exercises), visualization, meditation. Bring your sense of adventure and your sense of humor. Join our Healthy Backs 4-part series to understand how to feel strong and flexible in your back bending postures, on and off of the mat. Learn the modifications for postures and methods for healthy movements of your spine that are specific to you! Ask questions about the poses that “just don’t feel right“. Open to everyone and all levels.